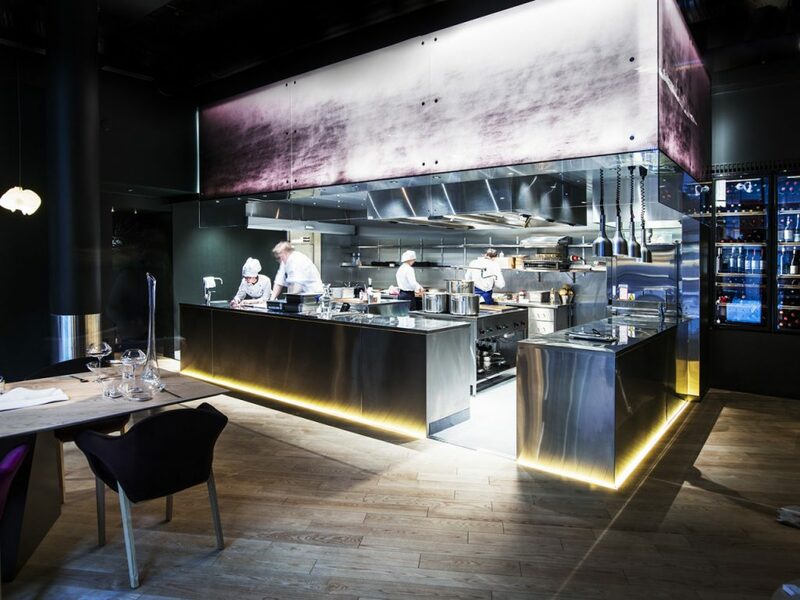 Ateljé Sotamaa, where our Group X’s member Kivi Sotamaa is one of the two principals, has just finished the holistic design of Finnjävel Restaurant in Helsinki. 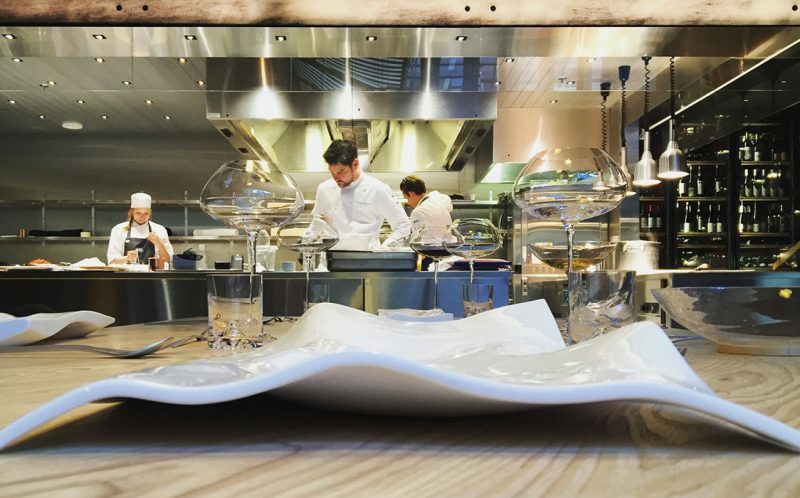 Half a year ago two truly inspiring chefs, Henri Alén and Tommi Tuominen, and a visionary Somelier Samuil Angelov approached us with an idea of creating a unique fine dining restaurant FINNJÄVEL in the harbour of Helsinki city centre. 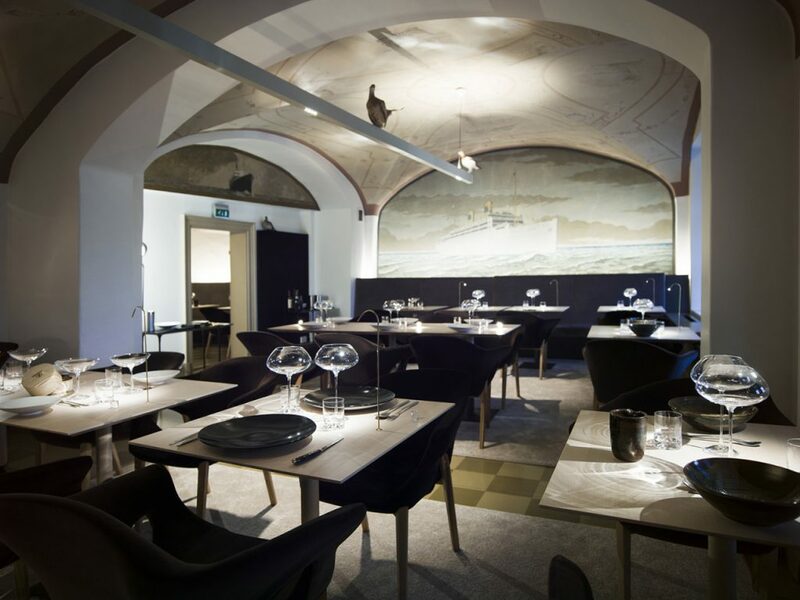 The menu would be based on traditional Finnish kitchen and is inspired by the different regions of the country. At Ateljé Sotamaa we have designed the architecture, furniture, lighting, ceramics, glasses, cutlery, artwork, 146 distinct objects in total. 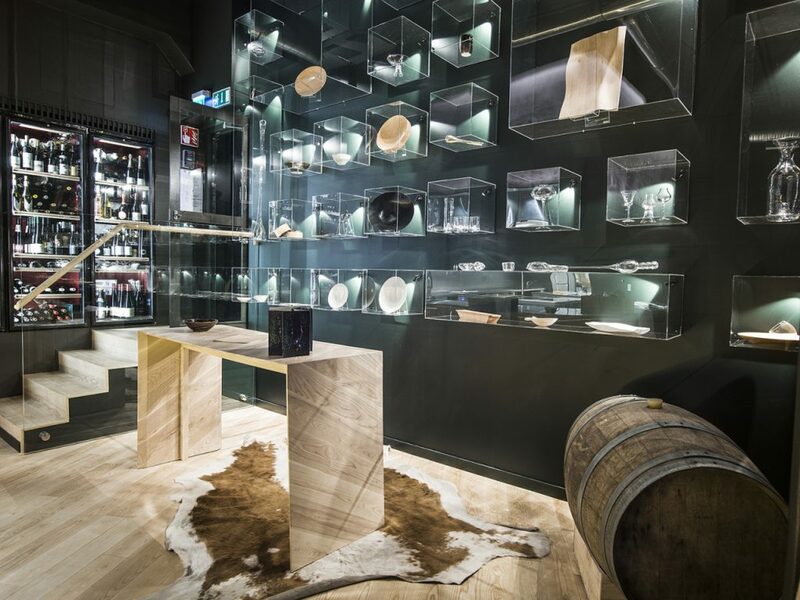 Our design, together with the service and music, sets the mood in which the unique food and wine is experienced. 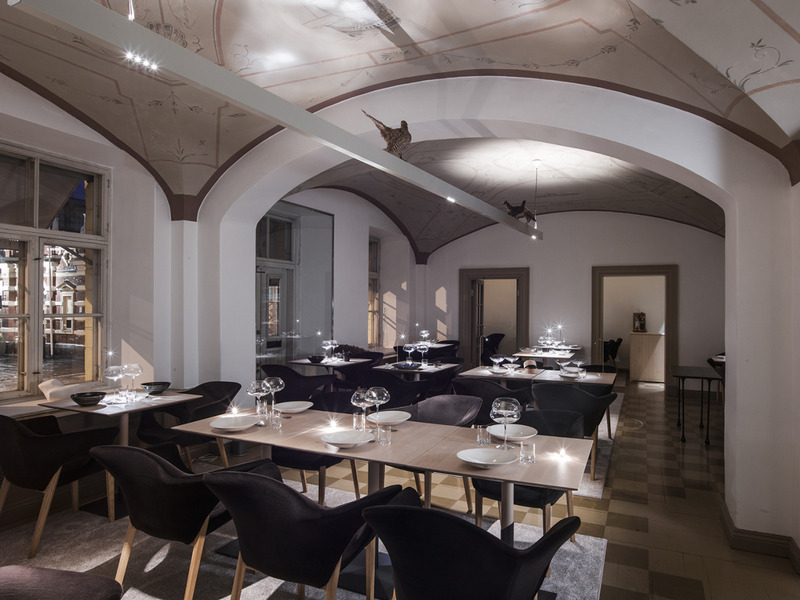 The design is based on the dramatic contrasts found in Finnish nature, extreme minimalism on one hand, and sparkling organicity on the other. The rich and contrasting objects enable the creation of an evening long dining experience with moments of quiet, wonder, and humor. Just as the chefs have searched the best in Finnish raw ingredients, we have sought out the best in artisans and craftsmen. ’For us a ”finnjävel” represents the famous Finnish ”sisu” (guts to do something), liberality and ambition seasoned with a dash of delusion’, Chef Henri Alén says with a grin. (Finnjävel as a word origins to Sweden and was in the past used a non‐complimentary nickname for the Finns by the Swedes). 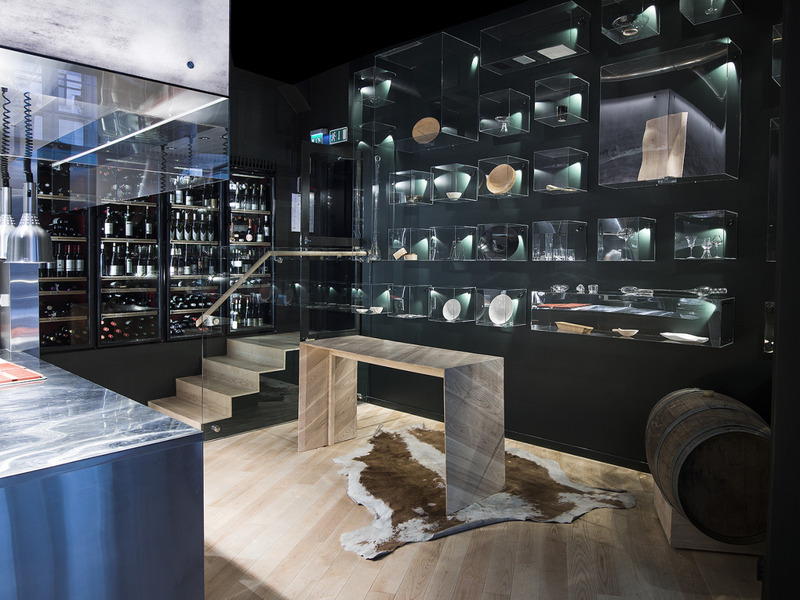 More photographs on the restaurant’s interior and tabletop architecture here.